Find it a pain to wake up every morning for school. We have some interesting tips that will make school and studying fun altogether. 1. Use colored pens and different writing styles to take notes innovatively. 2. Don’t mug up, discuss your study topics with classmates. You might even bring up some interesting points to make a note of. 3. 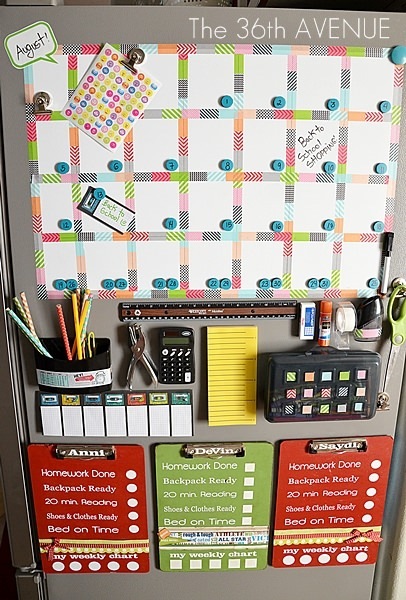 Make an interesting homework station. Your artistic talent will be put to display even in your homework. 4. Install a white board to create to-do lists or revise course. Much like your class, you can create a classroom at home and become your own teacher. 5. Don’t push yourself to study, take music or dance breaks. Turn up the volume of your mp3 player and relax! 6. Make friends with planners, post-its, reminder apps. Might as well, stay organized than face issues with self proclaimed amnesia. 7. March around to avoid distraction while studying. Your wandering mind needs a little direction. 8. If that doesn’t help try speaking out loud to force attention back to your task. Try not to scare anyone at home. 9. Do scribbling, foot tapping or finger drumming to stay attentive in class. If you can’t hold yourself from yawning try the above. 10. Make friends with bright students. It helps, in homework, exams and you also might find a good friend in them. 11. Use references to expand your knowledge of a topic. Visits to libraries or discussions helps clear doubts and establishes stronger foothold. 12. Spend some time, not all, in playing. All work and no play makes ‘anyone’ dull. 13. Catch the hints given in class. Doesn’t the teacher often tell you ‘Children, this is an important question”? 14. Buttering doesn’t help, hard work does. Gone are the days when buttering would earn brownie points. 15. Look up to your working parents for inspiration. Soon, you will join the race, might as well enjoy this phase. This 33-Year-Old Cryptic Book Has Left Linguists Baffled. Can You Decipher Its Language?